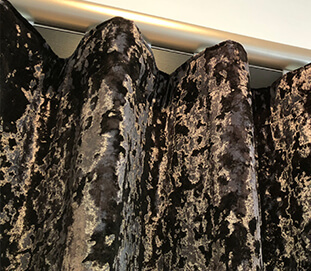 From beautiful velvets and delicate embroideries to simple prints and weaves, we specialise in the design and supply of bespoke soft furnishings including curtains, valances, pelmets and cushions. With fabric in a range to suit all budgets, we'll help you create your perfect look that fits all of your requirements. 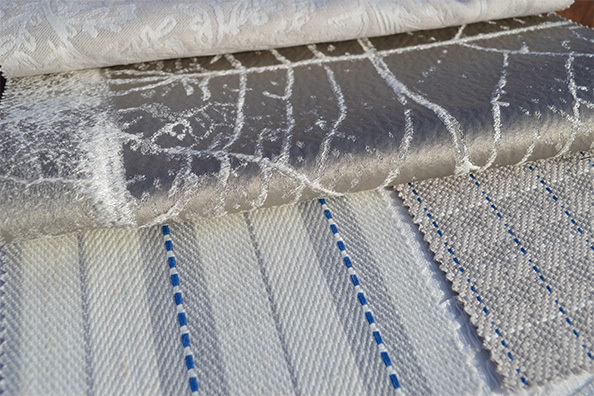 We bring all the fabric samples to you, allowing you to view our collection in the comfort of your own home. This will also help to co-ordinate with your existing furnishings. We also have a range of beautifully contrasting wallpapers to finish your dream room. 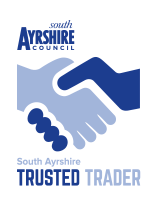 All our work is produced locally by skilled seamstresses with over 25 years experience and finished to the highest standard throughout - your curtains can be completely hand stitched should this be your preference. We consider attention to detail key when it comes to our soft furnishings so call us today to discuss our home design service. As all our curtains are made to measure we advise a period of around 6 weeks from order for your curtains to be ready - sooner if we can. Pinch pleat is a decorative heading for curtains and valances, suitable for all types of curtain track and pole. Pinch pleats are more gathered than other headings and have permanent sewn-in pleats for a more luxurious, tailored look. 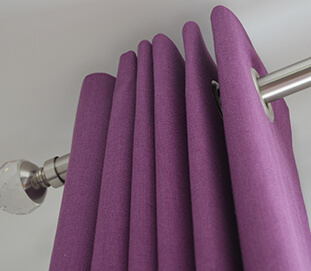 Our pinch pleat curtains can be created with either double or triple pleats. An eyelet heading creates a clean and contemporary look. Once hung the fabric folds into large even pleats. As well as looking neat, it takes up very little space when stacked back. The eyelets are available in a range of colours to match your pole and fabric. Please note that this heading is only suitable for curtain poles. 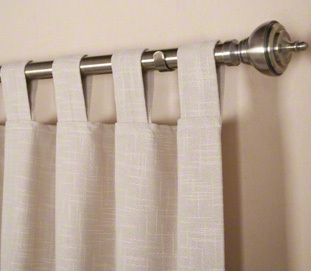 Tab top is a contemporary heading suitable only for curtain poles. 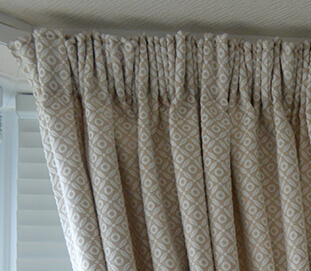 Tabs are usually made in the same fabric as the curtain but a contrasting fabric can be used for a different twist! 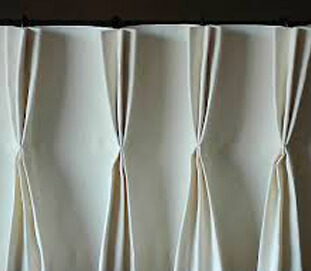 A contemporary style, a wave header allows curtains to hang in wide, even folds. The finished appearance is similar to that of eyelet curtains but the fabric hangs directly below the track in a neat and uniform style. There are two sizes of wave headings. The 80mm wave offers a deeper wave with a larger distance from the front to the back. The 60mm wave is shallower and smaller front to back, which lends itself to smaller recesses but will have a slightly larger stack back. Wave curtains are only compatible with certains types of tracks. We have a wide range of fabrics in a range to suit all budgets including suppliers such as Kai, Ashley Wilde, Voyage, Iliv, Clarke & Clarke, Swaffer, Designers Guild & Wind Fabrics. 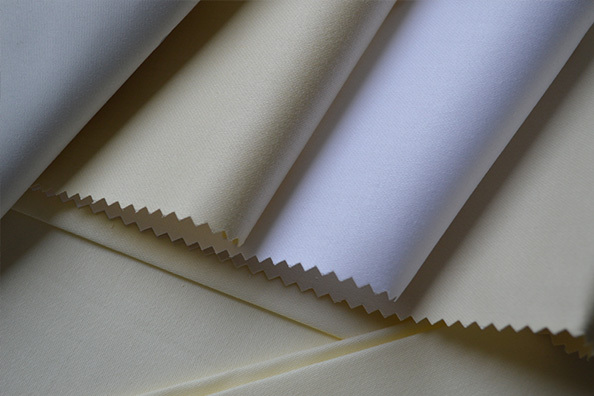 Our fabrics are carefully chosen to ensure we have something to suit everyone's taste. From simple prints and contemporary florals to fun ideas for the little ones rooms, if we don't have what you're looking for we have access to a vast range of fabrics to find the perfect one for you! 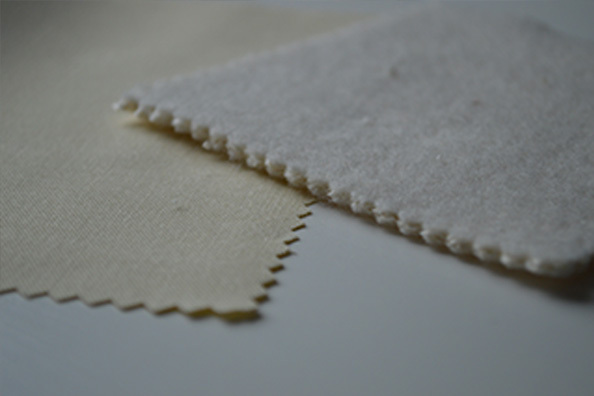 All our curtains are lined with standard cotton lining, in either white or a more natural ivory, with an easy care finish to minimise creasing. Or, you could choose a contrasting colour of fabric to line your curtains for a completely different look! We also offer blackout lining, at a small additional charge, which is ideal for bedrooms. Also known as thermal lining, interlining is placed between the fabric and lining and provides extra insulation properties which helps reduce heat loss form your windows. We often recommend interlining for fine delicate fabrics, such as silks or fine embroideries as by adding a layer of interlining the ‘feel’ of the fabric changes dramatically and the curtains become thick and sumptuous. 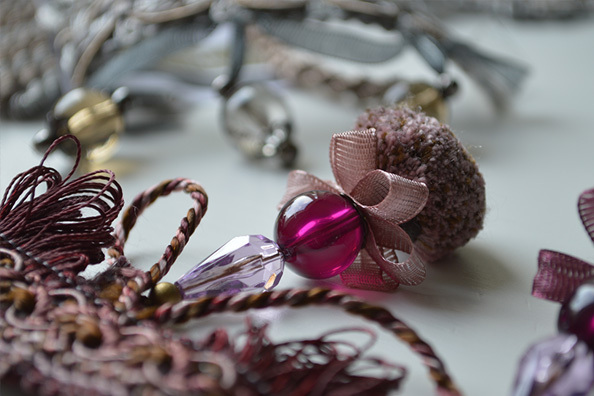 If you would like to add that finishing touch to your curtains let us help you! 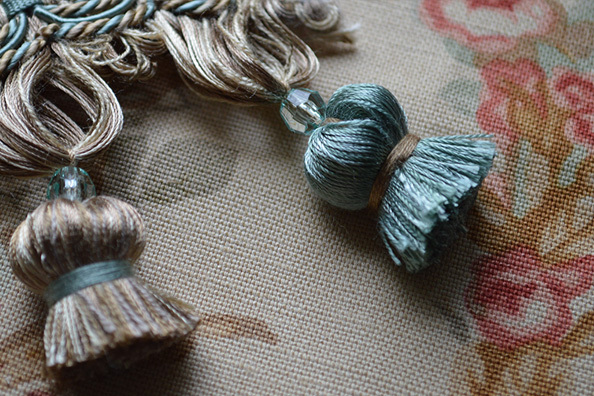 We have a wide range of samples including tassels and simple trims to really make your curtains stand out. We can also help you decide on Tie Backs, Cushions, Pelmets, Valances, Wallpaper and much more. Just tell us how you envisage your finished look and we'll help you achieve this!